April is here, and that means so are the termites. 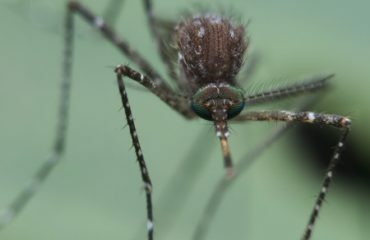 Are you prepared for the insect activity that comes with the month of April? In Georgia, termites are active year round but typically swarm throughout the spring. Why is this important for homeowners? Termite infestations can cause extreme damage to buildings and furniture. Termites pose a threat to your biggest investment: your home. Did you know.. Termites cause more than $5 billion worth of damages annually in the United States, according to the National Pest Management Association. That’s more than fires, earthquakes, and storms combined! Unfortunately, most homeowner insurance policies do not cover termite damage. In addition, most termite infestations are well established before outward signs become visible, but becoming familiar with termite infestation signs may help you identify an infestation and get prompt treatment. To prevent or treat a termite infestation properly, it’s important for homeowners to be able to properly identify termites. Follow our Homeowner’s Guide to Termites to determine what termites look like, the difference between termites and ants, how to spot a termite infestation, and more. Termites have a thick waist, straight antennae, and, if they have wings, their wing pairs are equivalent sizes. 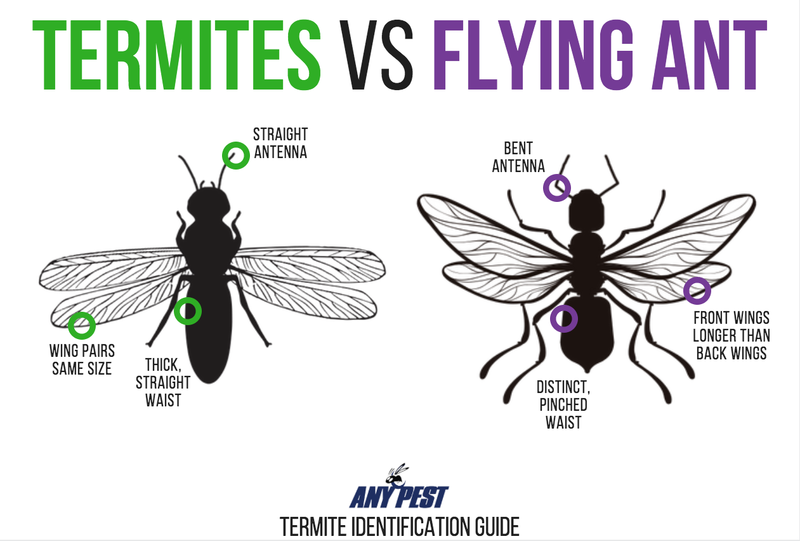 Oftentimes, termites resemble the appearance of flying ants and the identification between these two insects can easily get confused. The difference between termites and ants is extremely important because this determines which type of pest control service you need for your property. Why is Spotting Termites So Difficult? Owning a true secretive nature, spotting termites or a termite infestation can be difficult to detect. Additionally, you will likely notice termite damage before spotting the termites yourself. Homeowners are often fooled because termites look so similar to ants. Body Segment: Termites have thick/ straight waists, while ants have distinct/ pinched waists. Antennae: Termites have straight antennae, and ants have bent antennae. 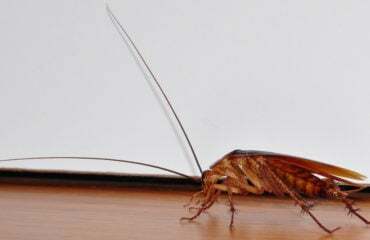 Wings: When termites have wings, both of the pairs are the same length. When ants have wings, the front wings are longer than the back wings. If you have an ant infestation, please visit our Ant Control Guide. Now that we have identified the difference between termites and ants, let’s discuss the different types of termites. It’s important to be able to identity which type of termite is posing a threat to your home. However, it’s even more important to understand the issue is termites vs. your home. If you have termites in/around your home, it’s important to understand which type of termites you are dealing with to determine which type of termite treatment you need. Subterranean termites treatment differs from drywood termite treatment. This is the most common type of termite in the US. Subterranean termites’ nests are underground. These termites have large colonies, do not kick out debris, and eat along the grain of the wood. Subterranean termites develop in the colony, and they leave their nests underground to start new colonies. Drywood termites do not require soil contact. Instead, they nest inside the wood they are infesting. These termites leave small piles of debris outside the infested wood. Yes. Termites that fly are called “swarmers”. Flight is an important component of a termite’s reproductive process. In addition, termite swarms are most active during the spring, which gives power to the saying ‘warming means swarming’. However, the adult reproductive termites, called swarmers, do not fly very well. Swarmers shed their wings shortly after they settle on the ground. Do Termites Bite? Can Termites Harm Humans? Termite populations are notoriously known for causing damage and harm to homes, but not to people. 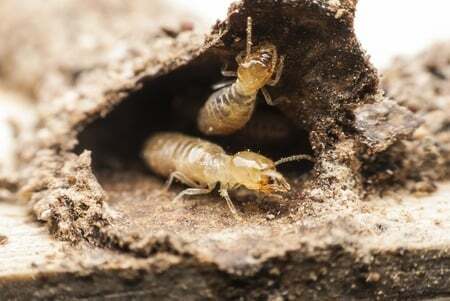 Soldier termites do have the ability to bite humans, but they would only bite if handled. Termites are not known to carry diseases harmful to humans. Homeowners experiencing a termite infestation should not be concerned about bites from termites. Instead, termites bite wood and attack other insects. When Do Termites Swarm in Georgia? 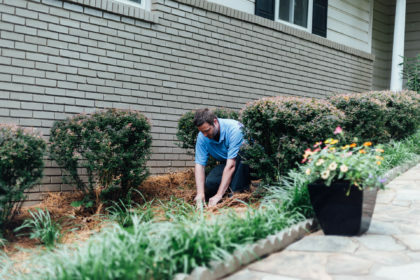 In Georgia, termite swarms typically occur in the springtime. As the weather warms up, termites start new colonies. First, they send out “reproductive” termites, who will later be the “kings” and “queens” of their future colonies. These reproductive termites leave the nest at the same time looking for a mate. This is called a “swarm” when a large amount of termites are searching for mates. Termites swarm in Georgia from March to May. The rain and warm temperature facilitates this process. The winged termites emerge from soil, cracks, or holes looking for a mate, new nest sites, and food sources. How Can I Defend Against A Swarm? The best defense against a termite swarm is a properly maintained home, which includes proper storage, ventilation, and drainage. Additionally, it’s important to have a professional pest control service inspect your home for termites annually. What are Signs of a Termite Infestation? Termites pose a serious threat to your biggest investment: your home. Termites could be silently feasting on your home’s structure. If you suspect that you have termites or if you have an inside swarm, it is best to let a professional pest control service handle the termite treatment. 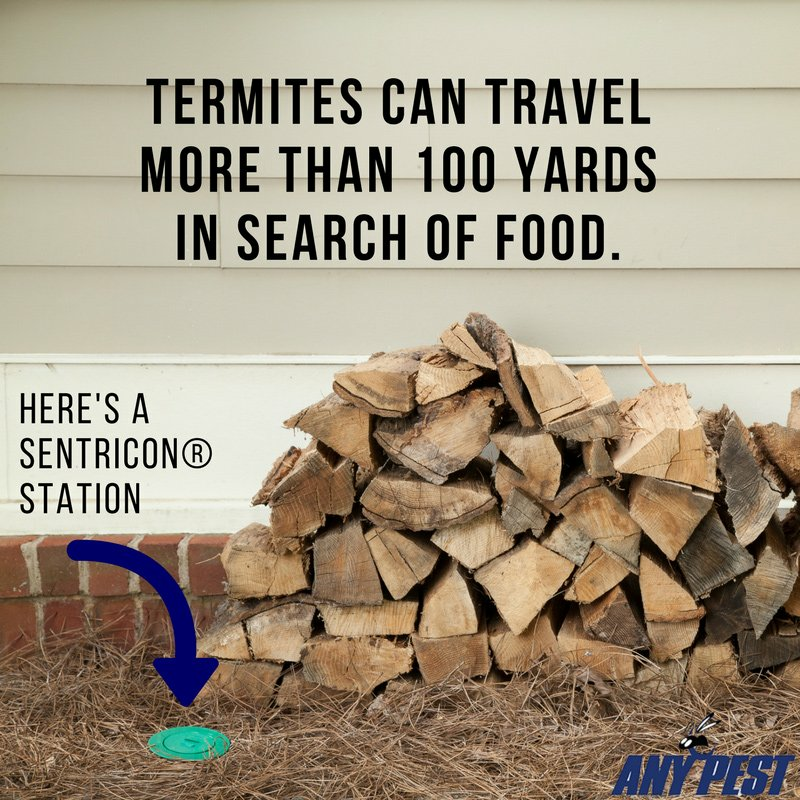 Here at Any Pest, Inc., we offer Sentricon Termite Baiting systems, as well as Liquid Barrier treatments to detect and eliminate termites in and around your home. Our termite baiting systems are installed in the soil around your home or office and will be monitored annually for termites. If termites were to be present, when they feed on the termite bait and bringing the Active Termite Bait back to their colony. 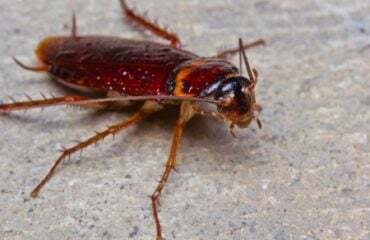 As the termites continue to feed on the active bait, and more and more termites are affected, the termites will die and the termite colony is eventually eliminated. If you ever notice any of the above termite warning signs and believe you may have termites in your home, don’t wait until it’s too late. Contact us today for a free termite inspection and to receive more information about our termite protection plans. Prevention is always the best treatment. Don’t wait until a swarm happens in/around your home. Call Any Pest, Inc. today for a free termite inspection at (678) 888-0035!